This one-day itinerary includes temples and shrines in Asakusa, Kagurazaka, Kudanshita, Harajuku and Roppongi. 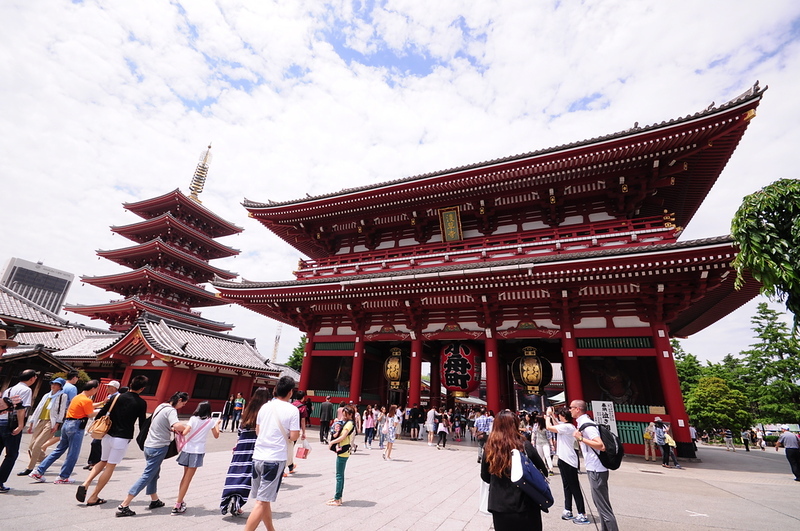 9:00: Head up to Asakusa and visit the bustling Senso-ji Temple, the most popular Buddhist temple in the city. After visiting the temple, step next door for a quick look at Asakusa-jinja Shrine. 10:30am: Take the Ginza and Toei Oedo subway lines (change at Ueno-Hirokoji) to Ushigome-Kagurazaka Station and get off to explore Zenkoku-ji Temple, another superb and popular temple. 11:30am: Take the Toei Oedo subway line and Tozai subway line (change at Iidabashi) and get off at Kudanshita to explore Yasukuni-jinja Shrine, Japan's most controversial Shinto shrine. Be sure to visit the adjoining Yushukan Museum, which presents the Japanese nationalist view of history. 1:00pm: Take the Hanzomon subway line from Kudanshita Station to Omote-Sando Station and get off. Eat lunch somewhere in Harajuku. After lunch, walk up Omotesando at visit the sprawling grounds of Meiji-jingu Shrine, which is easily Tokyo's most impressive Shinto shrine. 3:30pm: By this time, you'll probably have had enough of temples and shrines. But, if you're still keen, jump on the Chiyoda subway line at Meijijingumae-Harajuku Station and take it two stops west to Nogizaka Station and get off to take a peek at Nogi-jinja Shrine (be warned, it closes at 5pm). This puts you in a good position to walk down into Roppongi, where you can choose from a huge selection of restaurants for dinner. As mentioned in the introduction to this itinerary, Tokyo's temples and shrines aren't as impressive or beautiful as those of Kyoto. 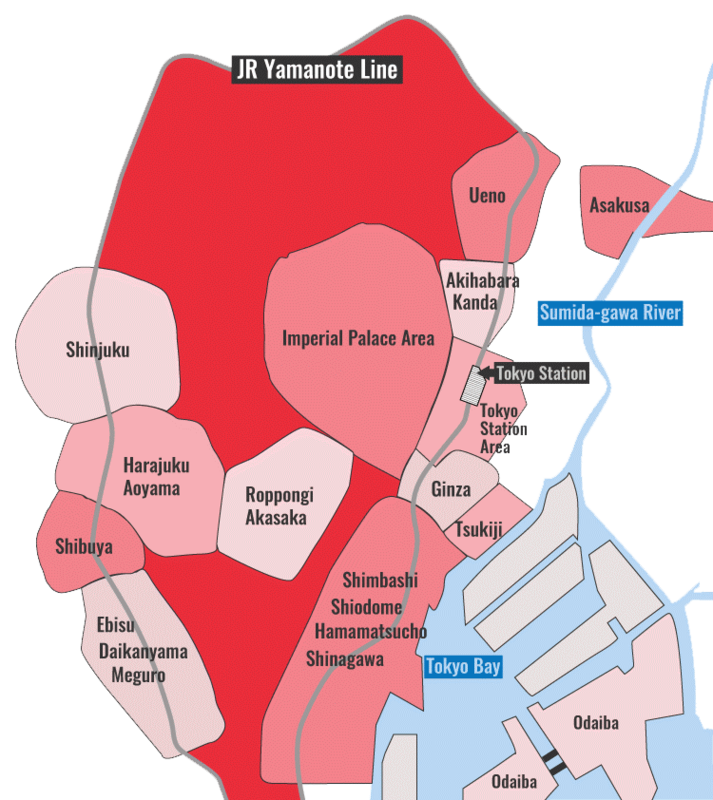 Most of Tokyo's temples and shrines were destroyed by aerial bombing in WWII, while those of Kyoto survived. Thus, if you plan to visit Kyoto on your trip, there's no need to go out of your way to see temples and shrines in Tokyo. If you are going to Kyoto, I'd suggest only visiting Asakusa's Senso-ji Temple and Harajuku's Meiji-jingu Shrine while in Tokyo. For ideas about which temples to visit in Kyoto, see Best Temples In Kyoto, Best Shinto Shrines In Kyoto and my own personal top 10 favorite Kyoto temples.